Charlie saw me decorating the mantel and he asked if he could have something for his room. I have a mini Christmas tree that the boys put on the dresser every year, so he figured they should get something for fall, too. Being the non-crafty person that I am, I am drawn to very easy projects. 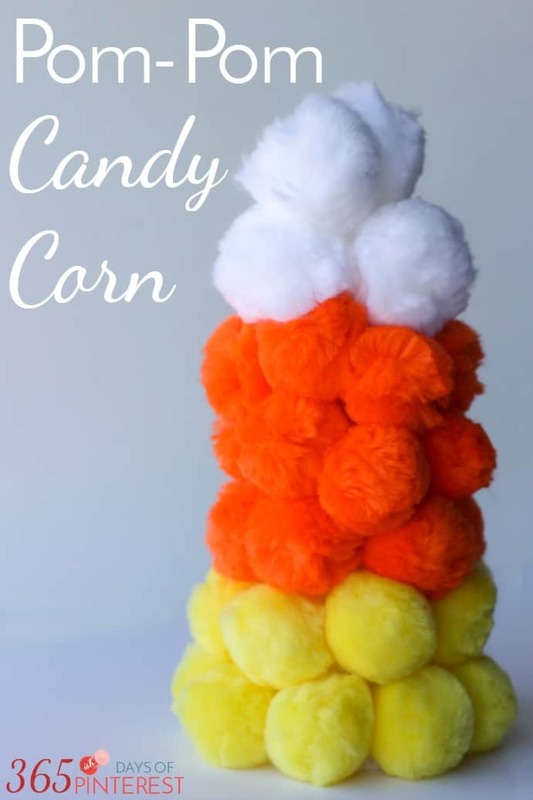 🙂 This pom pom candy corn definitely falls into that category! 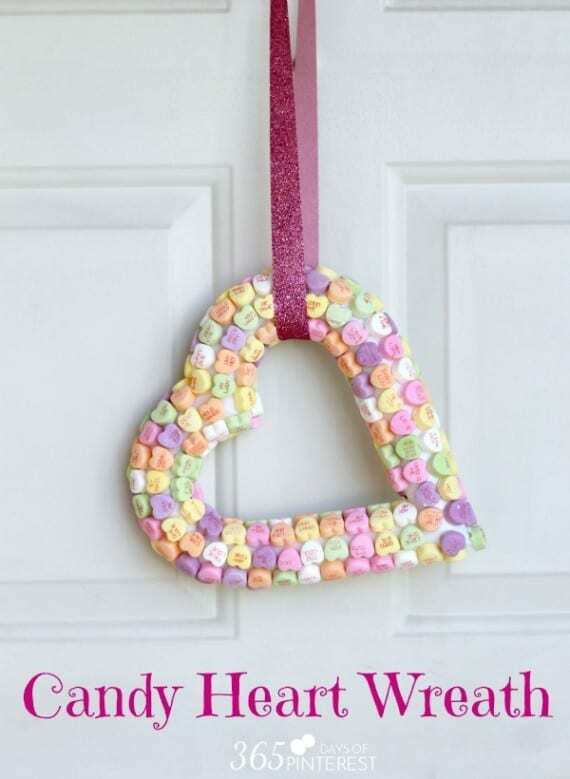 I got the idea from this Candy Heart Wreath that I made back in February for Valentine’s Day. 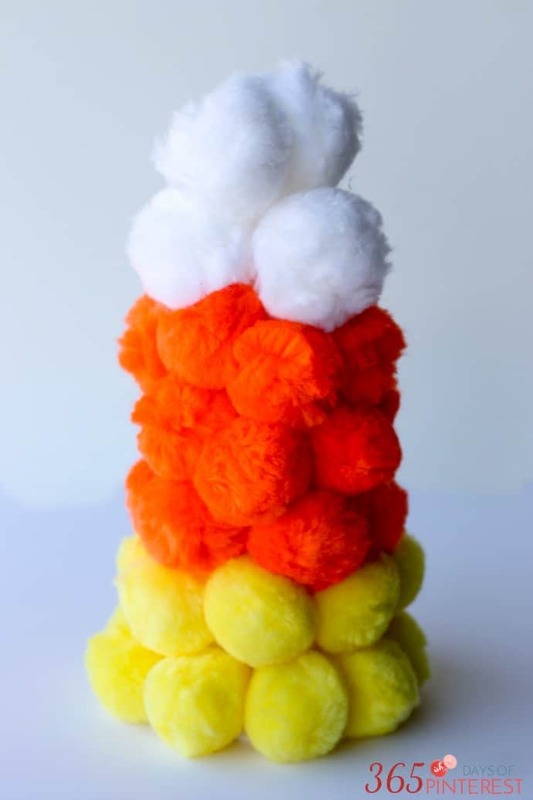 I thought about gluing actual candy corn to the form, but ultimately decided against it. The giant pom poms were SO much easier and definitely faster. Plus, they are kid-friendly! 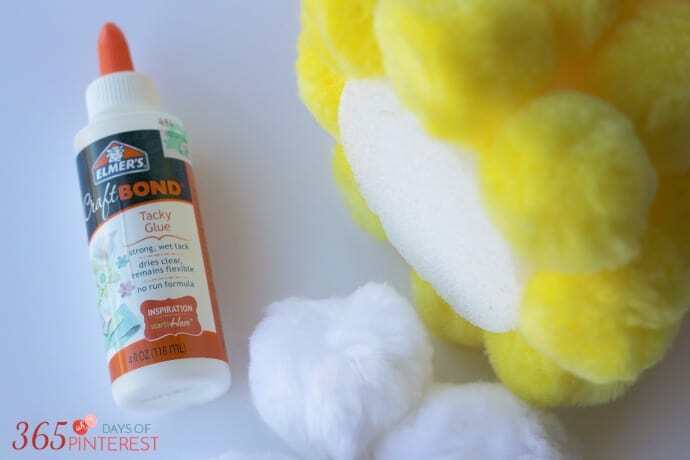 How many pom poms you use will depend on the size you get. Just remember, the smaller the pom pom, the more tedious this gets. 😉 I do like the look of the smaller pom poms, but it takes longer and impatient fingers like to be done quickly. Just start from the bottom and work up the cone. Yellow goes on the bottom, orange goes in the middle and white on top. Allow to sit overnight for the glue to harden. Done! 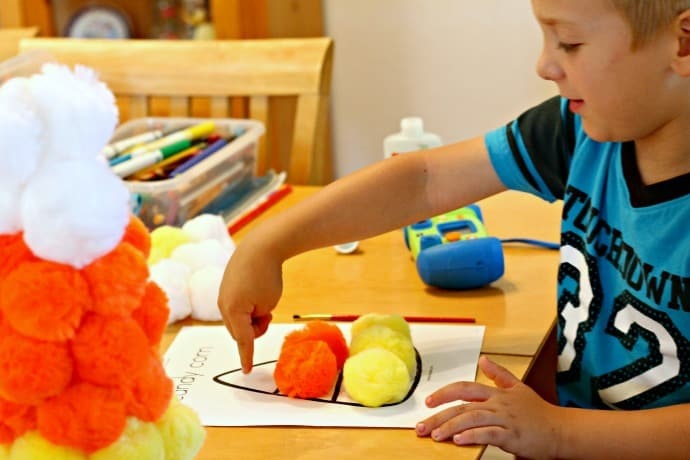 We had a few more pom poms left and Charlie wanted to do more, so I found a printable template for candy corn and let him glue the rest of them onto the paper. He probably crammed a few more pom poms on there than really necessary, but it was fun. 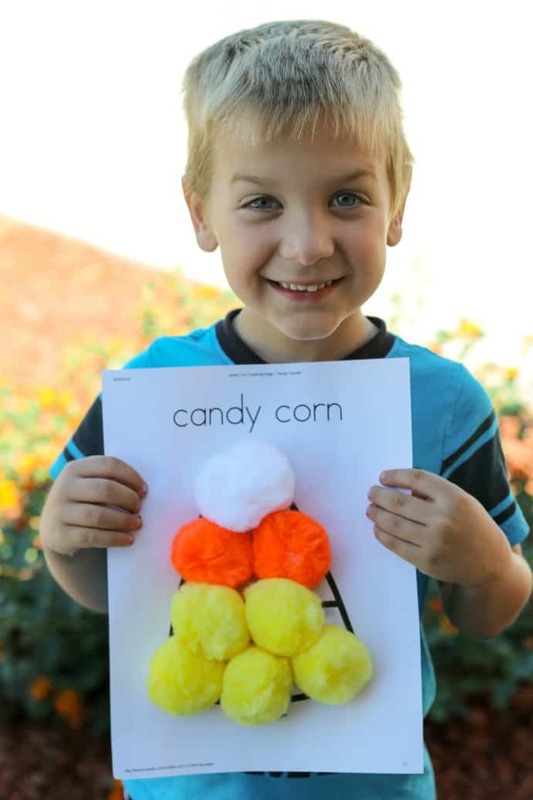 Candy Corn may not be the tastiest treat for fall, but it’s fun to play with! What kind of fall decorations do you have? So cute! Fun activity for fall harvest parties. Stopping by from the Link Party!